How does one explore and experience India in all its glorious ethnic diversity? Drop by Cottage Emporium. 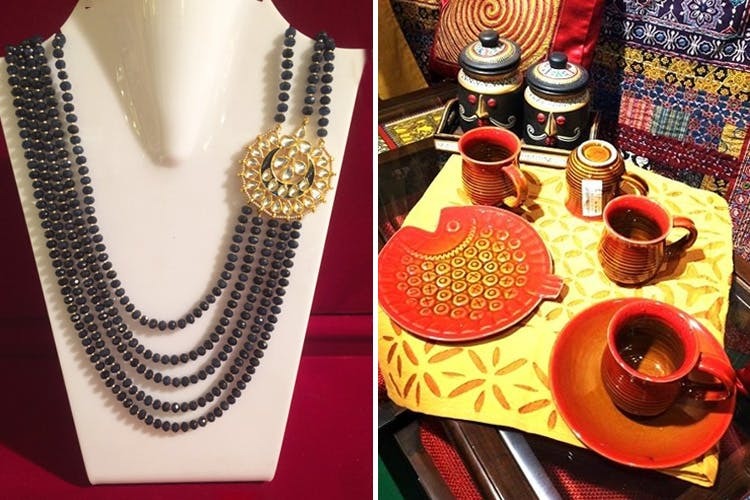 Central Cottage Industries Emporium is a one-stop shop for all things Indian, traditional and contemporary that India has to offer. This multi-level store is a treasure trove of handicrafts from across the country. From wood carvings to paper mache, brassware, textiles, beauty products, home décor, jewellery, wooden furniture, pottery–the list goes on. Each product is unique, reflecting the traditional myths, folklore and cultural ethos of India. That’s not it. It houses a book store with a varied collection of books on art, textiles, architecture, and handicrafts. From time to time, there are live demonstrations by craftsmen, handicrafts for sale by national awardees, and a café called Smoothie Factory, that has great sandwiches and shakes. The Emporium has also provided interior decoration and corporate gifting solutions to a number of hotel chains and corporate offices in the city. The prices of some products might be a bit steep, but you must keep in mind that exclusivity does come at a price. Once you visit, make sure to ask their friendly staff about upcoming events in the premises. You might just be lucky enough to explore exhibitions by national award-winning artists and designers. Or you can check out their website to stay updated with all of their events and exhibitions.